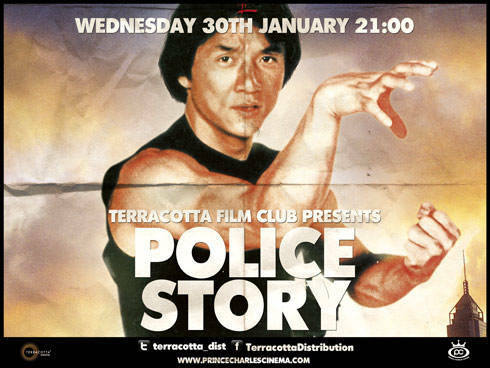 Terracotta Distribution a leading proponent of Asian Cinema within the UK is launching the Terracotta Film Club a monthly film screening residency at the home of cult cinema in London the Prince Charles Cinema, this January with Police Story. Police Story is thought of by Jackie Chan himself as his greatest achievement, the 1985, Police Story also stars iconic actresses Maggie Cheung and Brigitte Lin. Police Story is a fast paced and funny action flick that sees Jackie Chan as an idealistic cop crowned the best of the best by Hong Kong’s top brass. He soon finds himself on the wrong side of the law when a vengeful drug lord frames him for the murder of a fellow cop. All Jackie has is his fists and feet to battle through the throngs of underworld thugs climaxing in one of Hong Kong’s most exhilarating sequences. “Terracotta Film Club” aims to keep Asian films in cinemas, via showing a mix of both classics and new releases, and to introduce the next generation of film fans to Asian cinema. 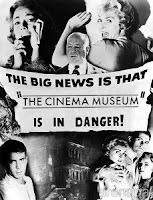 Terracotta are very pleased to be showing Asian films regularly, right in the heart of London.